A BIG thank you to all those who attended VAANI's Culture Night 2013. It was great to have you with us. It was huge turn out of 200 people attending the event. Your support is precious to us and we thank you from the bottom of our hearts. As cited in the Census 2011 the borough’s Asian/Asian-British population is now about the same size as the white population, with increase in the Pakistani, Bangladeshi and other Asian communities in particular. 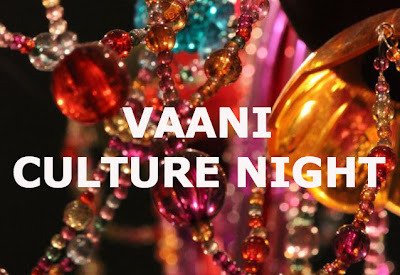 VAANI decided to represent different cultures in the borough but at the same time showcase the cohesion, the unity within the borough via a Culture Night. The VAANI Culture Night was held on 1st June 2013 in Ilford Central Library that was part of Redbrridge Book and Media Festival 2013. 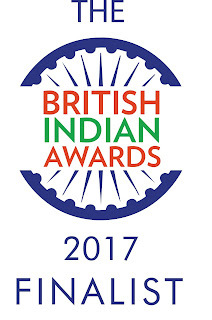 The Chief Guests were Sita Brahmachari (Winner of Waterstone's Children Books Prize 2011), Redbridge Mayor Councillor Felicity Banks, and the Redbridge Deputy Mayoress. The event was a combination of dance and music performances, readings of prose and poetry, art and craft exhibition by people with learning disabilities, local Redbridge residents belonging to different ethnic groups and VAANI members including adults and children. It also showcased the cohesion of Disabled and able bodied people. Inspiring poetry readings were by Bengali Poet Neil Mukherji, Manju Chaudhury, Somalian poetess Fatima May Ali and storyteller Jane Grell from Dominica Republic. There were dance performances in Arabic, Spanish and Indian folk style. The Redbridge Israeli Dancers performed Israeli dances to which many of the audience joined in including the Mayor and the Deputy Mayor. Vaani's own project SENSE (for people with learning disabilities) performed a Bollywood Dance number and much loved Damien of Woodbine Day Services performed an enthusiastic street dance. Art Exhibition by artists Amber, Smita, Rupam and Rajesh. VAANI's Managing Director Smita Rajesh said "The Culture Night symbolised unity in diversity. VAANI endeavours to integrate the diverse community via the medium of different Art forms. It's our honour to see such diverse and inspiring talents on this stage tonight." Redbridge Mayor Councillor Felicity Banks said " A wonderful evening – full of variety, poetry story telling, singing, individual dancing and group dancing from many different cultures. Most memorable was the happy smiling faces of all the performers and hosts." Please see below the photos of the event. I met Julie O' Yang, author of 'Butterfly' in Oct 2011. She had flown in from Netherlands to take part in the South Asian literature festival in London. I was pleasantly surprised by her unassuming and modest yet very confident attitude. 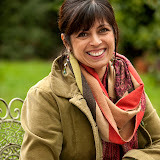 Julie has published fiction and articles in various publications worldwide. Apart from being an author Julie is also a visual artist and Butterfly has some of her own illustrations in it. The book cover shows a vague woman's face underwater, a very artistic choice in keeping with the story. 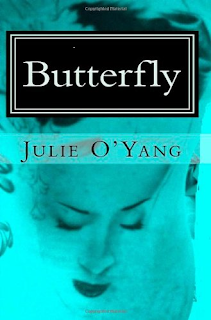 Butterfly is a love story that spans life and death, magic and reality and parallel reality. 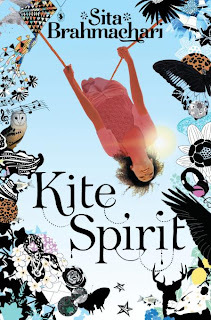 The author has woven mythology and history skilfully together to create a mysterious atmosphere in the story that keeps readers hooked till the end. The butterfly motto has been used repeatedly to create and reinforce the idea that like a butterfly changes its form and gets reborn time and again, so does love in-spite of all the odds against it be it war, Nanking Massacre, or the darkest secret. The love scenes are infused with Chinese myths and strong imagery that gives it a mystical tinge. The book is littered with metaphors and beautiful imagery that spell binds its readers and gives them wings to take them along on an unpredictable, conflicting journey of a butterfly. I found it hard to put it down until the very end although the end itself is a bit lacking in clarity may be done so intentionally by the author to maintain the aura of mystery. The book Butterfly all in all reads like a Bestseller and the readers will find it a page turner. A must read for all.